"In Hellboy: Seed of Destruction, readers were given a brief glimpse of a crew of strange looking aliens monitoring the supernatural doings on Earth from way out in space. We later learned that one of those aliens had been sent to Earth to kill him in 1944, but chose to spare him at the last moment,” said Chris Roberson. “In The Visitor, we explore who those aliens are, why that assassin was sent to kill Hellboy, and just what he was doing in all of the years in between." 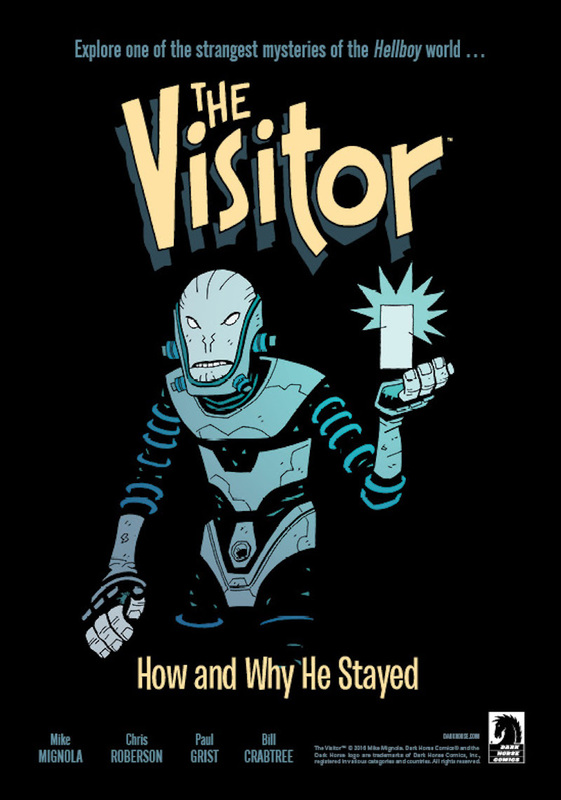 View a teaser trailer for The Visitor: How and Why He Stayed here!